Welcome to my other post where I am going to tell you about another interesting fix where we are going to fix one more Windows 10 issue in which Laptops just restarts by itself when you choose to Shutdown the computer and it auto restarts by itself especially when Laptop is connected to Power sources like Docking Station or AC Adapter. No matter how many times you try to shut the computer down using the power button, using Start menu shutdown options, shutdown command or creating a shortcut but it will always restart. But seems like power source is somehow triggering it to restart, initially, I had a thought that it could be an issue with the HW of the computer because it was shutting down all the ways and then restarting from outside of the OS. But later identified issue started to occur after 1803 update on the Windows 10 PC and when tried rolling it back to a 1709 update of Windows 10 this issue disappear hence to regenerate and confirm that issue is with Windows alone reinstalled the Windows 10 1803 upgrade now the issue came back. Did research and found this issue mainly on i7 processor working on Windows 10 1803 version and found a fix as well. Then click on "Choose what the power buttons do", as highlighted in yellow in the above image. Run this command with Admin rights to make it work. This one's relatively rare, but it's a big enough problem that it's shown up on several different support forums: When you install the Creators Update it might automatically enable Windows' Fast Startup option, which puts your PC into a low-level hibernation state when you shut it down. Fast Startup can create more problems when booting up, like getting stuck at the BIOS and having to pull the power plug to get the PC up and running again. It can also make it difficult to access the BIOS if you need to change boot settings or check on an overclock mode(S3,S4,S...n, hyperthreading and turbo boost)in BIOS. Luckily, there's an easy fix. You just need to disable hibernation with our good old friend, the command prompt "CMD". 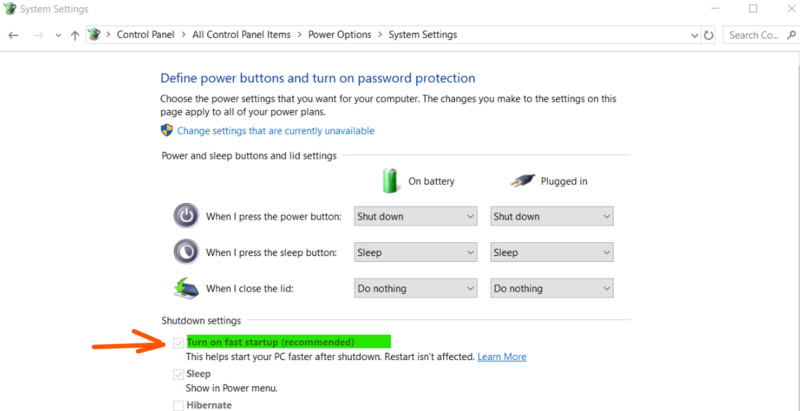 If you are still facing Windows 10 Auto restart issue, and it does not matter whether the AC adapter/Docking station is connected or not, then Click here for a fix. One of the recent questions raised to me as if we can use Wifi and Lan at the same time, the generalized answer is no we can not use it at the same time, second question - is there a workaround to this situation? This is something I need to check out for! So in order to search about did some research and found that many people posted a fix for Windows 7 but could not find the accurate fix for Windows 10 or we can say no one has really tried it so far. So let's go ahead and make a note of what people were doing on Windows 7 and then we will try to replicate them in Windows 10. 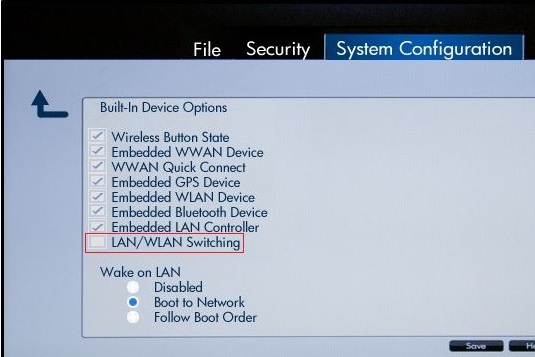 Chances are, your laptop's wireless card has a "disable on wired connect" feature configured as a default. 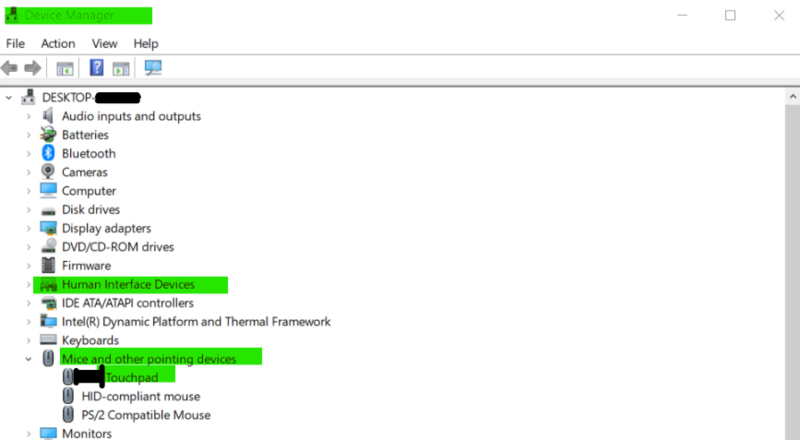 On the Networking tab of the Wireless Network Connection Properties window, click "Configure"
That will display the properties window of the wireless card. Click the "Advanced" tab and see if there's an option for "Disable on wired connected" or Something similar to it would be there. If there is, and it’s enabled, disable it. Some computers have a BIOS setting that determines this behavior. Whether this BIOS feature exists and where to find it is model-specific, but here are a couple of examples, which should at least help you figure out what to look for if you have a different model. On some laptops, go to Settings→ Power Management → Wireless Radio Control, and in the right pane uncheck the box next to Control WLAN radio. On the Windows 10, click on the Windows icon. Type view network connections and press Enter. (You can also type NCPA.CPL in Run Command box, Run Command box can be opened using WinKey+R). Identify your Ethernet connection and your wireless connection. The Ethernet connection is called Local Area Connection and the wireless connection is called Wireless Network Connection. Click on Local Area Connection to select it. Press and hold the Ctrl key and click on Wireless Network Connection to select it. Now you should have both connections selected. Right click on the selection and select Bridge Connections. This legacy setting was superseded in Windows 10 with a new setting that is the "metric" much like in typical networking. 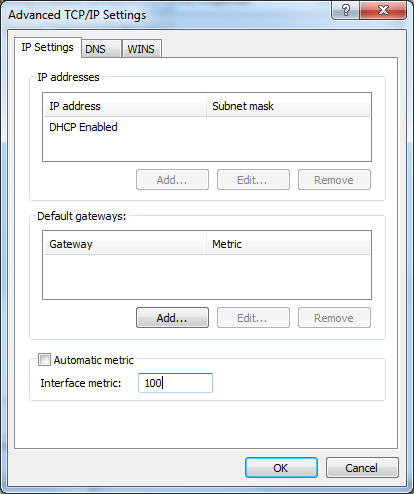 Go to your adapter properties, IPv4 settings, (keep current DHCP or static IP) and click on the "advanced button". There you will see the new checkbox andautomatic metric the textbox to enter manually at your discretion. The lower the number the higher the priority. So as concluded for Windows 10 Machine try bridging the networks and see if works for you as well. How to enable software installation in Safemode. Windows 10 users may come across the issue when they will notice that the Webcam is not at all working and not getting detected in device manager in laptops & all in one computer. May get worried that Webcam itself has gone faulty, but it is too soon to worry, so we have simple and easy issue identification technique and we can resolve the issue as well. But before we proceed we need to verify whether it is a Software issue or Hardware (About which you are worried) issue. First, we will go to the device manager and check for if the Webcam is getting detected under Other Devices, Imaging Devices or Webcam, it should get detected in either one of them. If getting detected, then it is a simple issue with drivers open properties to check for status and try to uninstall and reinstall the driver form appropriate source. Just in case it is not at all getting detected in device manager then there is no way to work around with the drivers, hence in this condition, we need to check the Webcam is set to on in system BIOS or not. To check it I will recommend checking it in BIOS, depending upon your system’s manufacturer go into BIOS, nowadays most of the BIOS manufacturer supports have the option to turn Webcam on and off in BIOS. If the option is not present in BIOS then it should be by default on or you do not have the webcam, check your invoice details and confirm your laptop has this feature, and just in case if it was working fine better then you do not need to check it in the invoice. Now we are sure that webcam is all set in BIOS so now we will try the below fix. Go to device manager and click on view menu on top select View Hidden Devices, now see if you see anything under Imaging Devices or Webcam, just in case you find something new in there which is transparent just right click them and click on Uninstall, then go to Device manufacturer or chipset Manufacturer website and install the chipset drivers & USB drivers, Because Webcam works through internal USB port. now restart the computer. You will find it is working just fine now. In most of the cases, you will find this specific issue when the customer will report after doing operating system installation their Webcam is not working. Chipset driver and USB drivers are a fix for this issues. | Windows 10 | Touch Pad not working. Windows 10 users may come across the issue when they will notice that the touchpad is not at all working and they tried connecting external USB mouse and it was working just fine. May get worried that touchpad itself has gone faulty, but it is too soon to worry, so first, we have to try simple and easy issue identification technique and we may resolve the issue as well. First, we will go to the device manager and check for if the TouchPad is getting detected under Human Interface Device and Mouse and Keyboard input devices, it should get detected in either one of them. Just in case it is not at all getting detected in device manager then there is no way to work around with the drivers, hence in this condition, we need to check the Touchpad functionality outside the operating system. To check it I will recommend checking it in BIOS, depending upon your system’s manufacturer go into BIOS, nowadays most of the BIOS manufacturer supports Mouse and Touchpad support try checking it there. Just in case if your BIOS does not support Mouse and touchpad in BIOS then try to check it in Windows Recovery. It will conclude to two situations; 1: Touchpad is not working in BIOS/Windows Recovery. or 2: Touchpad is working in BIOS/Windows Recovery. Situation one: Touchpad not working in BIOS and Windows Recovery, then it is identified as Hardware Problem you should contact the manufacturer for getting it repaired or contact local IT to get it fixed for you. Situation two: Touchpad is working in BIOS/Windows Recovery, go to device manager and click on view menu on top select View Hidden Devices, now see if you see anything under Mouse and Keyboard input devices or Human Interface devices, just in case you find something new in there which is transparent just right click them and click on Uninstall, then go to Device manufacturer or chipset Manufacturer website and install the chipset drivers, now restart the computer. You will find your touchpad is working just fine now. In most of the cases, you will find this specific issue when the customer will report after doing an operating system installation their touchpad is not working. Chipset driver is a fix for this issues. Issue: Need to boot from Network in UEFI mode, changed BIOS settings and system is still not loading up the OS. Problem Description: You got the latest machine Intel processor Generation 8 or 7 I processor, and the supported chipset has Latest BIOS is set to UEFI mode and a this BIOS setting does not even support Internal Storage devices anymore in old known LEGACY MODE. While doing Operating System Reinstallation on Legacy Mode users are able to see the windows files are loading to Hard Drive and it is successfully finishing the installation but then again booting the computer to NO BOOT Device found. That means the Hard Drive has the Legacy image but a computer will not let it boot from there. If you want to verify this fact you can set the computer on UEFI MOde and try to add the boot device while adding it you will find MBR files are present in HDD which is for Legacy, and EFI files missing which are needed for UEFI Boot. People trying to boot through the Legacy LAN options they are finding it difficult to boot it properly because of the problem described above from the SCCM servers. Because of the image loaded on the SCCM server is the LEGACY image(This are customer image so they can not decide the format they just print themselves on the Hard Drive, and these images are in LEGACY Format). Here IT technicians have to inform there Deployment Administrative team about the situation and recommend them to create another customer UEFI image which will resolve all these issues. Once the UEFI image is deployed you need to boot the computer in UEFI network mode which we have described in the below article. To fix this issue you need to go into System BIOS, you may do it by pressing DEL, ESC, F2 or any other key as per the System Manufacturer's guidelines. Once in BIOS make sure UEFI and Secure boot both are on, now look out for System Configuration or Advanced options in BIOS and in there you may find something which says Network click on it and then put a check mark on UEFI Network Stack. To be on safer side we can also disable TPM from Security, just disable it so that it will not cause any issues loading up from Network. Now go to one-time boot menu by pressing F12 on the manufacturer logo and it will take you to the list of the device through which you can load from different sources. So here you will find that the traditional option with legacy option ROM was Boot From Network but now after making the changes you will find the new option under UEFI boot device are IPV4 and IPV6 so here you have to select IPV4 and here you go it will load up the windows. If it still fails to load windows or any other OS then you need to check with SCCM task scheduler whether it is configured for UEFI supported OS or not. Once configured properly you will not find any issues. Above steps are very genuine and effective way to take care of the issue but just in case you still want to go with the LEGACY MODE due to some reason then you can try to downgrade the TPM Firmware rom 2.0 to 1.2. Some of my users have reported that is enabling the Internal Hard drive boot on the computer. Audience: IT Technicians with higher computer technical experties, kindly do not try above steps if you do not undertand the content. 3-in-1 Windows Hello Fix, Windows Hello Setup Greyed Out, Windows Hello Error: Something went wrong & Windows Hello Domain Logon Fixed. First issue, Unable to setup Windows Hello and getting error Something went wrong. You may come across this error and may report that you are unable to setup Fingerprint logon using Windows Hello feature. The fix for issue as I identified was very easy though no one really posted it on line or you can say you may find the fix for this issue but not in one single fix. First, need to check the version of Windows 10, to check it you need to Hold the windows key + R so that it will pop up the RUN box. In that run box type in WINVER to check the version, I bet it would be 1703 because I found this issue mostly on this version. Once confirmed do the Windows 10 In place update. Bring windows to 1803 or later version. Once update done you will face another issue that now that setting up Fingerprint option itself is grayed out. But no need to worry we have perfect fix for it. Unable to set Windows Hello Fingerprint Setup after upgrading the Windows 10 Pro to Version 1803 spring update the option to setup is grayed out as can be seen in the image above. Identified the fix after having much search that the problem indeed was in registry glitch which just needs to be fixed. Need to open REGEDIT using a WINKEY + R in run box. Remember that it may be possible that sometimes you may not find the Key System under Windows registry hence you may need to create the system value manually. To do that right click Windows > New > Key Name new key as System. Now on the right hand side column you will find registry String value named "(Default)" Now just right click it and select Modify and just copy “AllowDomainPINLogon”=dword:00000001 under Value Data after this just restart the computer and you will find that now you are able to setup the Windows Hello Fingerprint Logon. So this Article was indeed 3-in-1 fix because we resolved Windows Hello Something went wrong issue, then we fixed Windows Hello Fingerprint Setup Grayed out issue and Finally while doing all this we also fixed the 3 issue which is Windows Hello Domain Login with Fingerprint issue. Some times you may find someones phone number sitting on your windows 10 Desktop Taskbar and you want to get rid off it. Uncheck toolbar with telephone number. 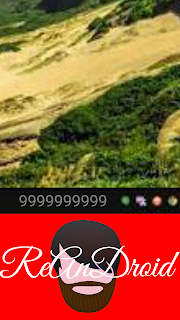 That's it you will not get that number displayed any more on Taskbar. How to Run Windows installer in Safe Mode. Sometimes you may find times when you try to fix your computer from issues like virus, malware, trojan, worms or unable to uninstall some program and issue caused due to faulty and glitchy updates from device manufacturer or Microsoft, which may not let you fix them in normal mode but somehow you are able to use your computer properly in safe mode, you may want to recover your computer by removing some malicious applications, software or updates. But most of the time it is not possible because 95% of people do not know how to enable windows installer in safe mode and due to which they could not uninstall the desired program. So here in this post, we are going to talk about the how to Enable Windows installer in safe mode. The simple method is using SAFEMSI.exe which is a third party .exe file which enables the windows installer but it needs internet to get that file if you have active internet access you can download it. REG ADD HKLM\SYSTEM\CurrentControlSet\Control\SafeBoot\Minimal\MSIServer" /VE /T REG_SZ /F /D "Service"
Now Windows installer is ready to go you just have to type "net start msiserver". Safe mode with Microsoft installer is on now. Easy and very useful method to get Microsoft installer service running hope it will help you with loads of issues and especially if you are tech support person. How to enable Wifi in safe mode. Recently identified spike in issues related to Microsoft Edge browser, found below working fix is to Reinstall edge browser. However it is little tricky to make Windows 10 forget about previous Edge settings and do a fresh start. Boot your computer into safe mode with networking. Press Windows key + R to get the run box. Type Windows Powershell in search box. Right click on Windows Powershell and select Run as administrator. Copy and paste the following powershell command. Wait for the command to complete, don't worry if it shows anything in red. Restart your computer edge is back there. I am here back again, with a resolution to another of the Windows 10 application problem which is unresponsive Window's Taskbar, CORTANA, and Start menu. 1 Window's Taskbar, CORTANA and Start menu is not opening. 2 Window's Taskbar, CORTANA and Start menu are opening and closing itself in a flash of a second. 3 You are able to open Window's Taskbar, CORTANA and Start menu but clicking on download is not downloading anything or ending up with an error. Hold down 'Windows key' on the keyboard and then press 'Q' key on the keyboard, now type in 'PowerShell', now right click on that and select 'Run as Administrator'. This command takes around 10 to 20 minutes to wait for it to complete and then restart. Now your Window's Taskbar, CORTANA and Start menu must be working again. If still not working then I will recommend you should back up your files and after that go to the login screen on right-hand side bottom you must be having power button icon, right click on that it will give you option to restart, there hold the shift key on keyboard and click on restart. It will take you to Windows recovery environment also known as WinRE, there select troubleshoot and check if you see the option 'Reset' if it is not there then select advance option and check there click on it and do the rest of your computer operating system. I am here back again, with resolution to another of the Windows 10 application problem which is unresponsive Windows store. 1 Windows Store is not opening. 2 Windows Store is opening and closing itself in a flash of second. 3 You are able to open Windows Store but clicking on download is not downloading anything or ending up with an error. Hold down 'Windows key' on keyboard and then press 'Q' key on keyboard, now type in 'powershell', now right click on that and select 'Run as Administrator'. This command takes around 10 to 20 minutes wait for it to complete and then restart.